I approach clients with an objective perspective, considering how all parts of their lives could impact their current life situation. I try my best to listen openly in an effort to hone in the primary concerns of clients. Watching clients reach new insights and make positive life changes inspires me to continue learning myself, and continue to help clients grow. I have been working with clients on improving their lives since 2007. I hope my genuine belief in human resilience and the possibility for positive change becomes contagious with my clients. I have extensive training and have received certification in Cognitive Behavioral Therapy (CBT), Motivational Interviewing (focused on substance abuse recovery), and CDCA (Chemical Dependency Counselor Assistant). 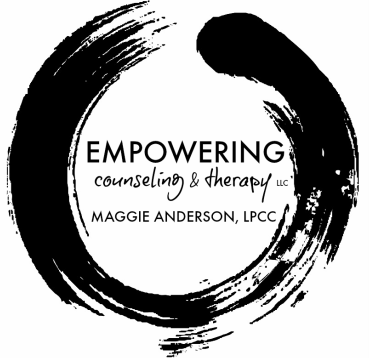 By using a cognitive behavioral focus, and incorporating mindfulness and empathic listening, I help clients feel empowered over their own life experience. My specific areas of focus include, but are not limited to: individual adult, adolescent, couples/relationship issues, parenting, communication, depression, anxiety, OCD, other mood disorders, PTSD, grief/loss, body image/weight concerns, substance abuse, self-esteem, and life transitions. When I am not in a counseling session, I maintain my own mental health balance by running, spinning, spending time with my family, enjoying the outdoors, cooking, and listening to music. I love learning new things, reading a great book, and trying new restaurants. My two young daughters and my husband keep me on my toes and remind me to laugh as often as possible.